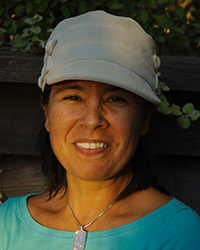 Susana is a Xicana/India, speaks Spanglish and has a strong decolonizing Yoga and Mindfulness practice. She is offering teachings through out many communities and in her private practice. She continues to heal a legacy of trauma. Visit www.mindfulnessforeverybody.com for more information.